Hungry, anyone? 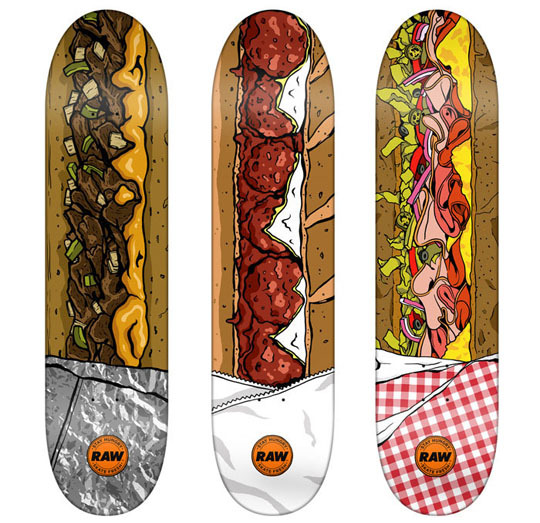 These decks by Jonah Miller for RAW are pretty self-explanatory, and delicious. It’s a clever idea executed in a way that suits skate culture: playful, and with a sense of humor about itself. Which one’s your favorite?